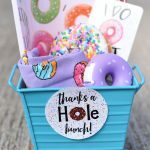 A Peek at the Fun: Do you have a football loving child with a birthday coming up? 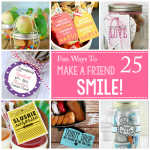 If you do, you are probably on the look out for some fun football party ideas. 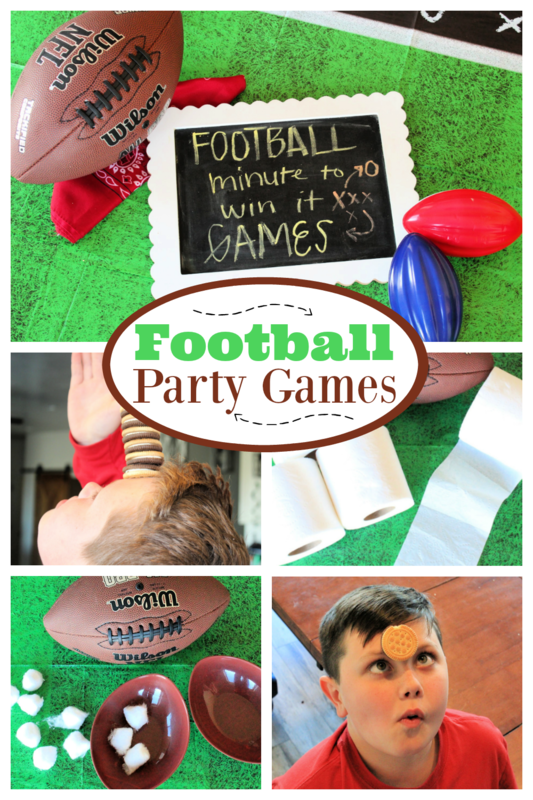 We have you covered with these football minute to win it party games! 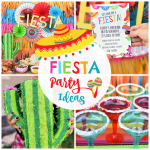 This party was inspired by Danetta’s sister, who was planning a party for her football loving son. Usually all these kids want is to play a game of football, but here in Utah the weather doesn’t always cooperate. 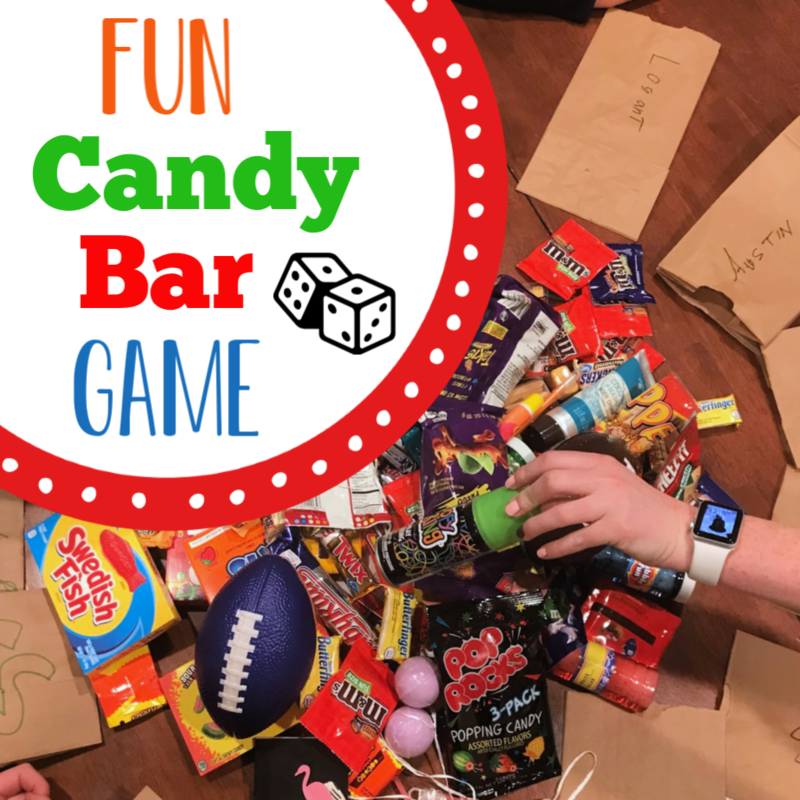 So, we needed a solid game plan to entertain these crazy kiddos during the party and these fun football minute to win it party games were perfect! 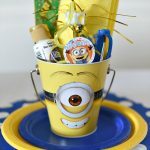 These football minute to win it party games are so simple to put together and so much fun to play, your party guests will love them. 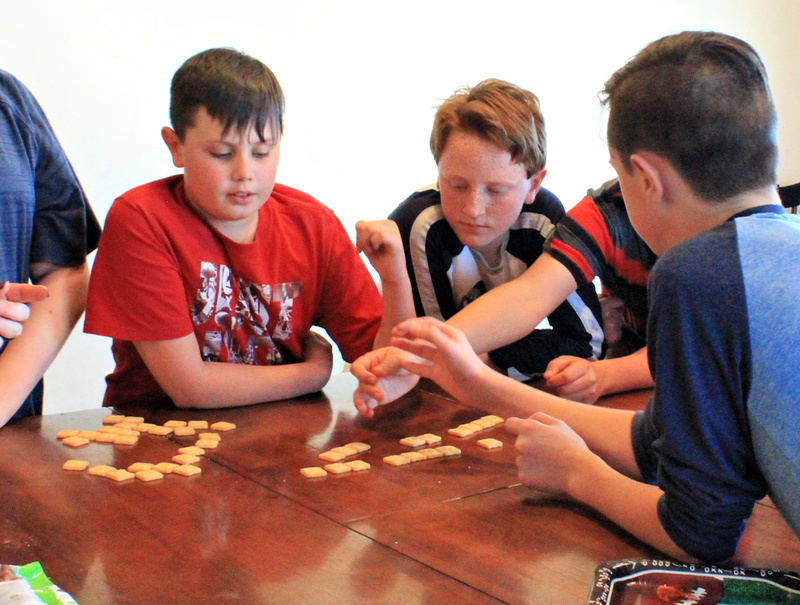 They are all minute to win it style games, meaning they are played as quickly as possible. They are so quick, you can get through a lot of games in a short amount of time. Danetta’s nephew played all these games at his birthday party with plenty of time for a game of football and plenty of eating time. So, let’s break this down game by game. Here’s what you’ll need for all of the games. 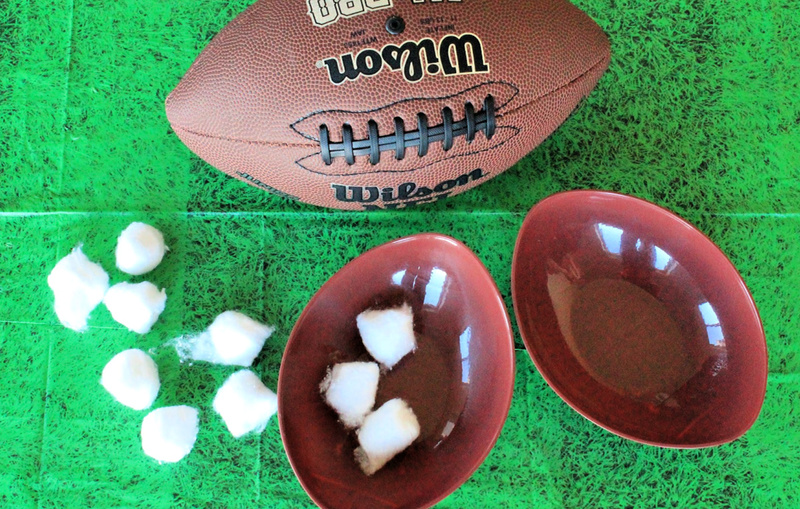 For this game you will use the cotton balls, vaseline, and small bowls. To play this game, put a pile of cotton balls in one bowl and place it at the end of a table and an empty bowl on the other side of the table. Each player will put Vaseline on their nose and move the cotton balls from one bowl to other bowl using only their nose. Time each player for 60 seconds and the person who moves the most cotton balls wins the game. Give each player 6 cookies. 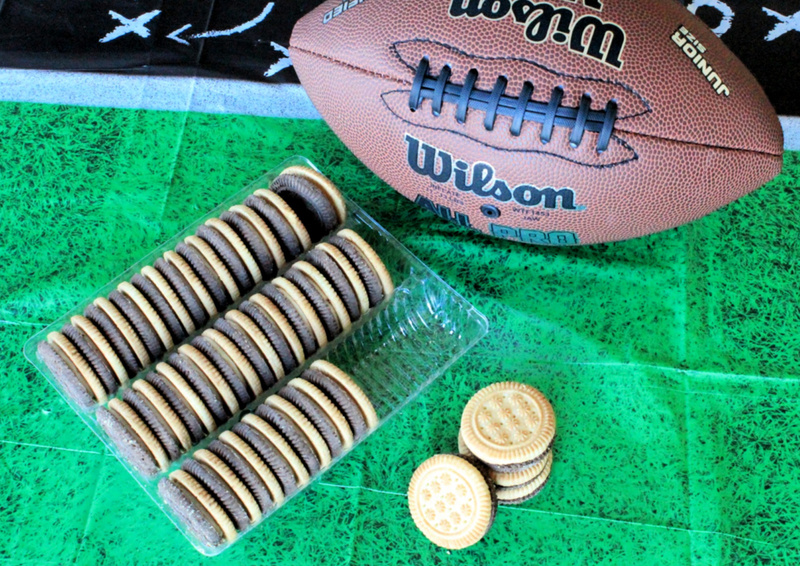 When you say “go” each player will attempt to stack the cookies on their forehead. The player who stacks 6 cookies the quickest, wins the game. 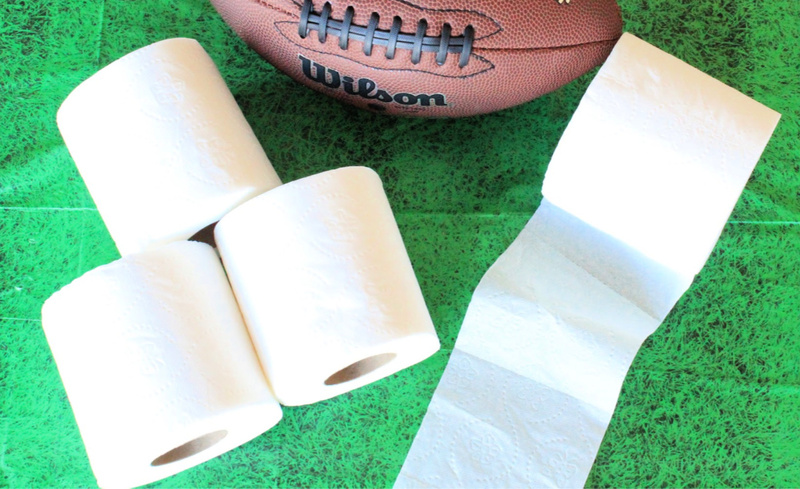 This game will just need a roll of toilet paper. Split the kiddos up in teams of three. 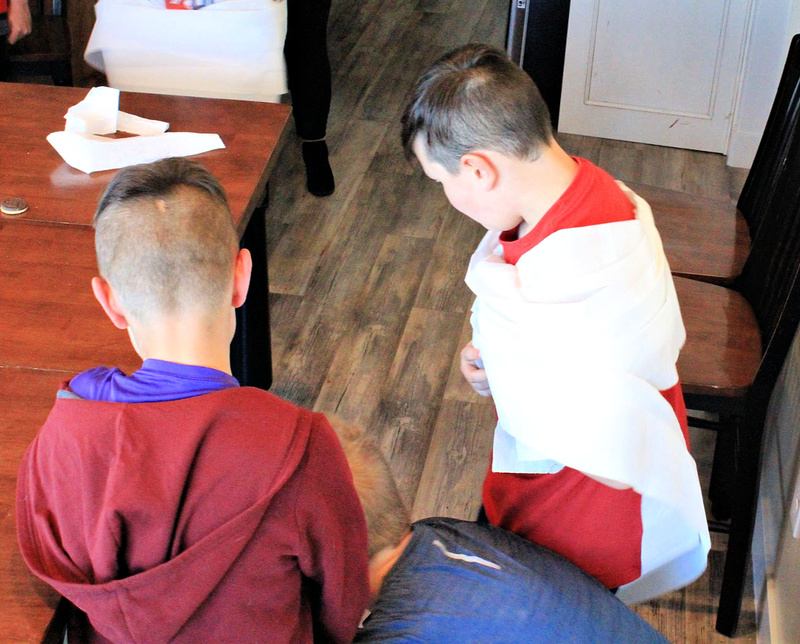 To play, two kids will hold the roll of toilet paper and one child will wrap it around himself by turning as quickly as possible. The first one done with the roll of toilet paper wins. 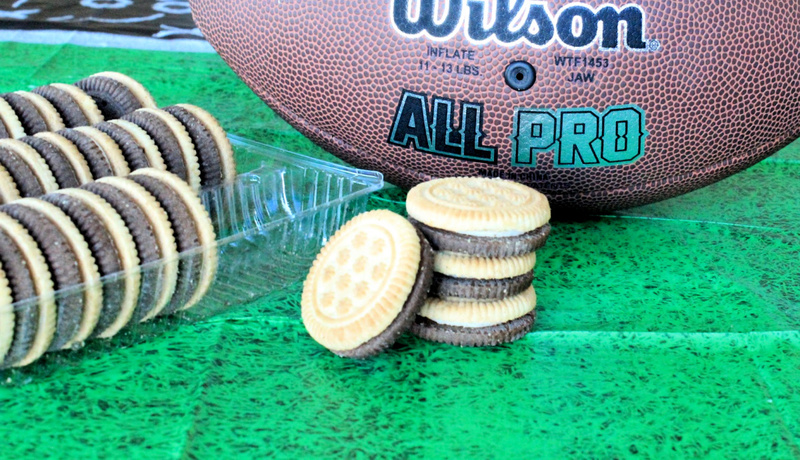 To prepare for this game, split the cookies up evenly in baggies. Split the kids up in teams and give each of them a baggie of cookies. Set the timer for 1-3 minutes (depending on how quick you think the kids can come up with words). The teams need to spell as many words as possible in the time allotted. If they can spell football words they are worth double. The team that spells the most words (counting double for football words) wins. 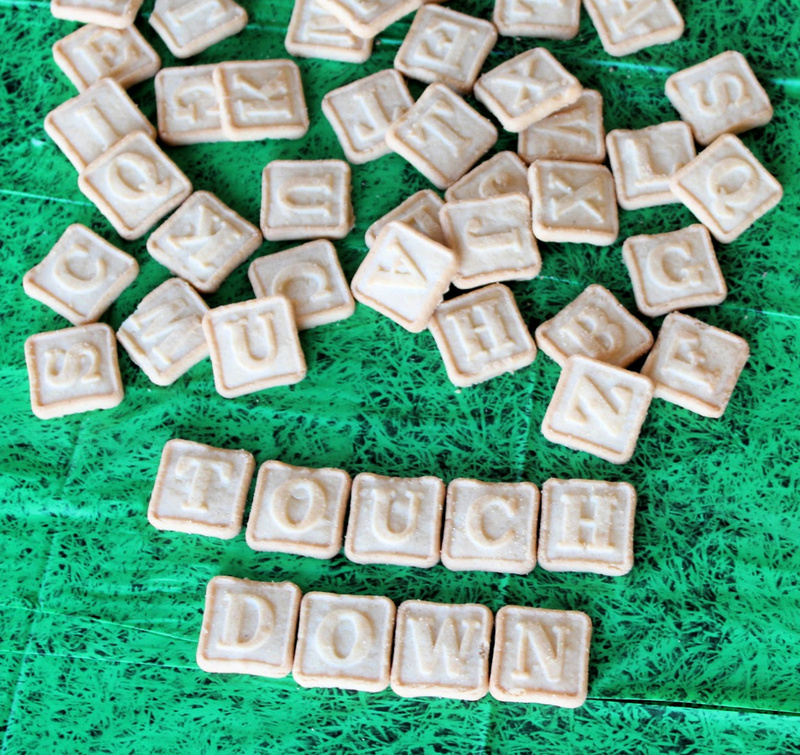 You may want to make sure each bag of cookies has enough vowels so the kiddos can make some fun words. Split the kids up in teams of 2, with one of them blindfolded. 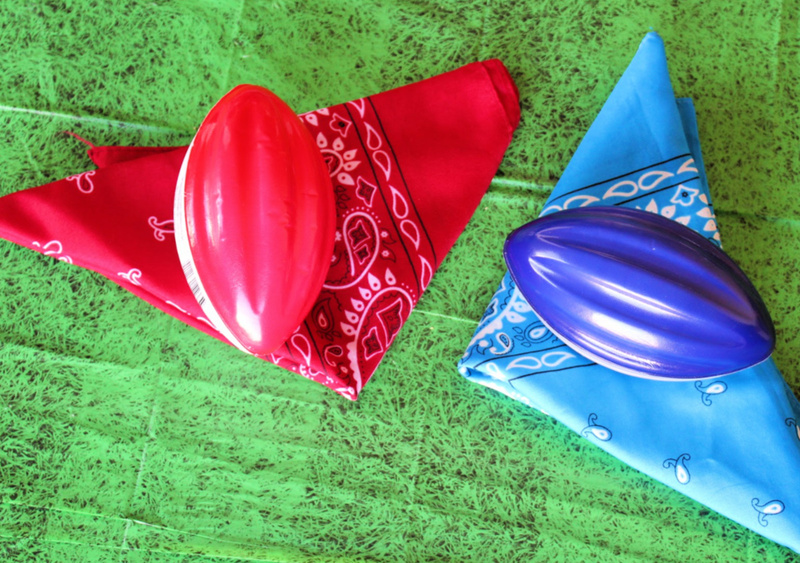 The player who is blindfolded (the quarterback) will throw the ball to his receiver. The catch is that the receiver can’t move, he will only be able to call out to the quarterback 3 times giving the quarterback an idea where he is. Time the players for one minute, the team that catches the ball the most times in that minute wins the game. Each child will have one cookie. 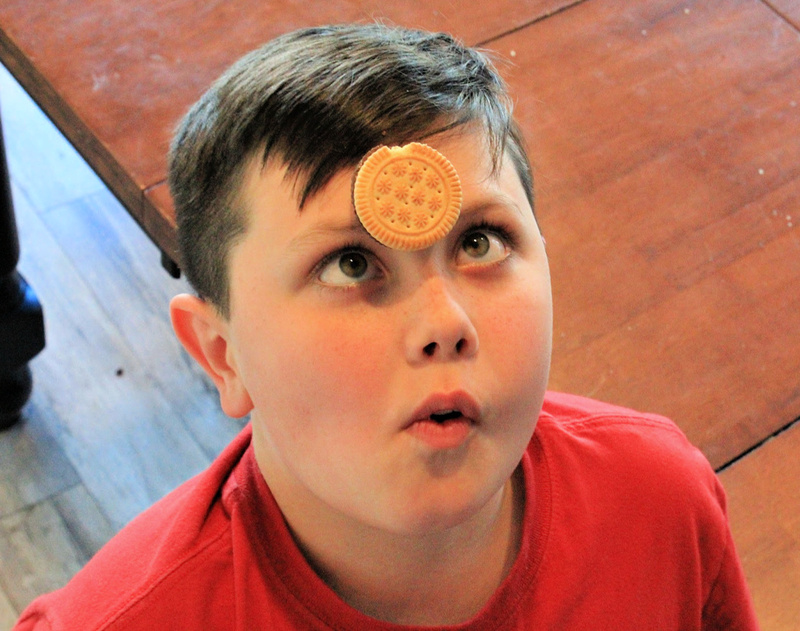 When you say “go”, they will place the cookie on their forehead and try to move it without hands to their mouths. The first one who gets the cookie to their mouth wins. 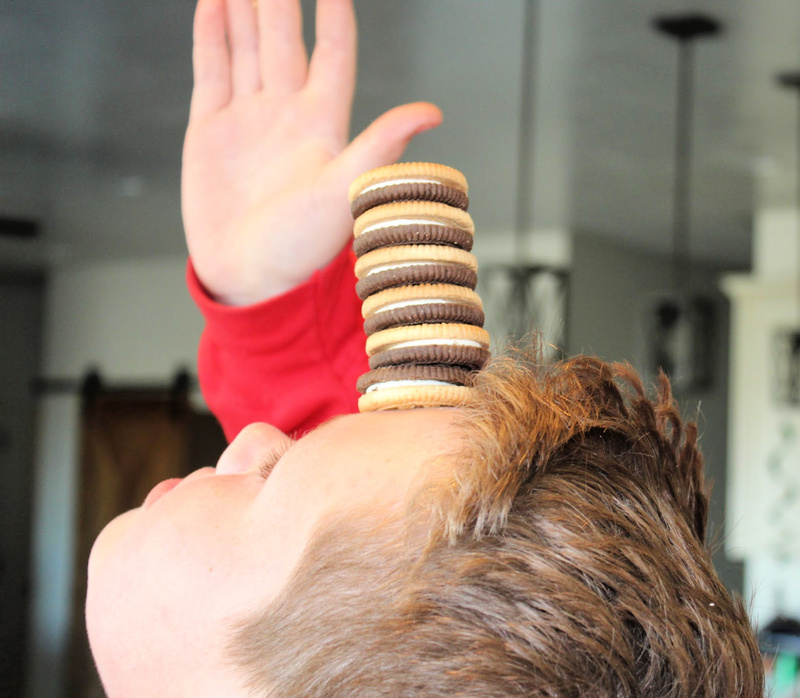 If the cookie falls, the player is allowed to pick it up and place it back on their forehead. They can keep trying until someone wins. Seriously, these games are a blast to play! 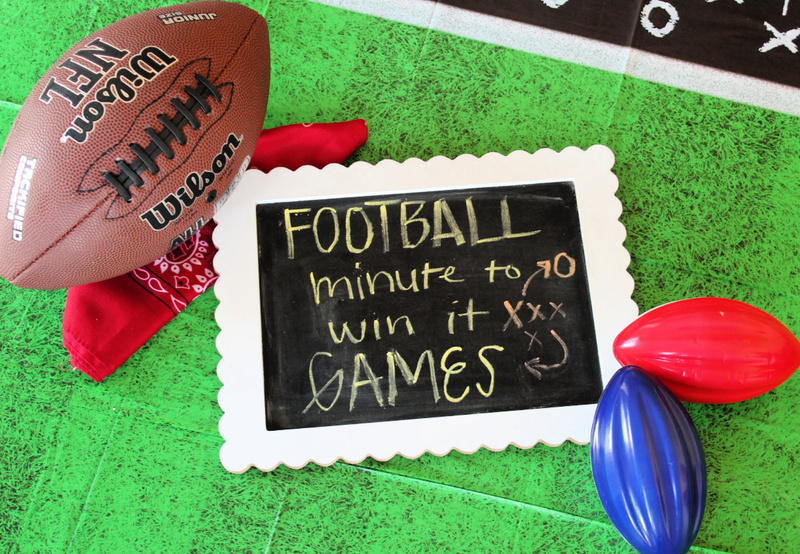 Have FUN with these football minute to win it party games!